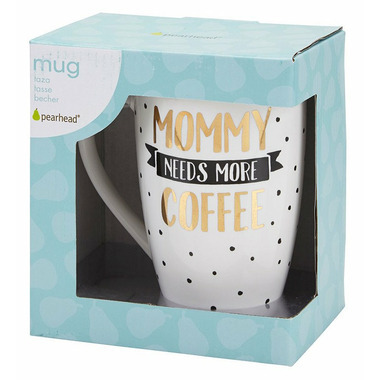 Pearhead’s Mommy Needs More Coffee mug is the perfect gift for Mom! This white, ceramic mug includes gold and black designs adding a modern touch. 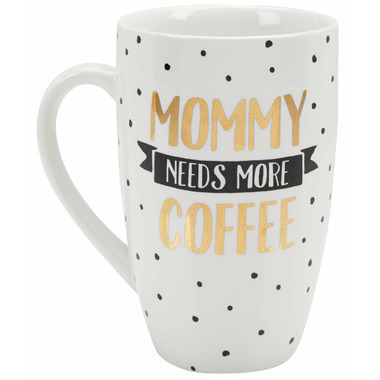 “Mommy Needs More Coffee” is printed in gold foil on the front of mug and black hand drawn dots are printed around the mug. This mug has a large handle to easily hold and carry all of Mommy’s coffee. Fits 3.9 cups or 31.2 fluid ounces. Recommended hand wash and hand dry. Do not put this mug in the microwave as it's not microwave safe. 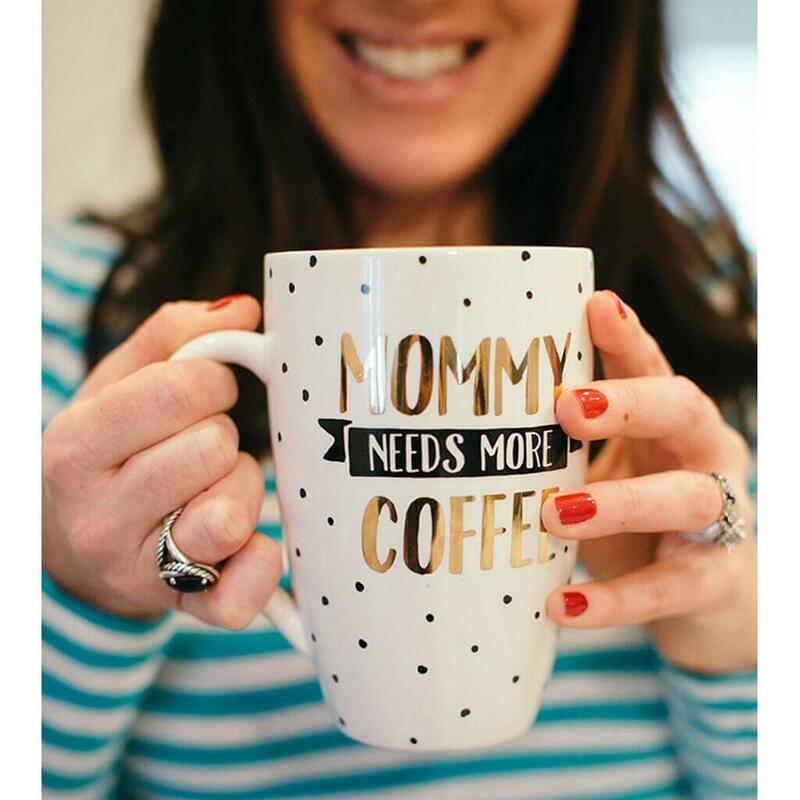 This fun mug shows Mom she can do it all with just a little more coffee.